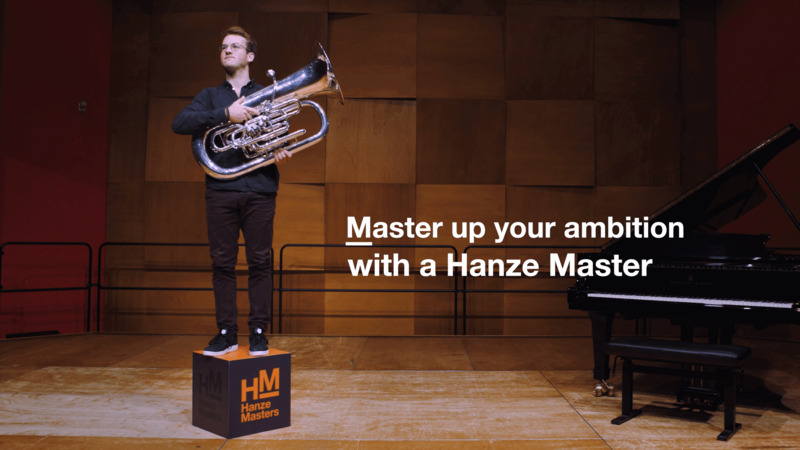 As a bachelor student or a professional in the field, you can shift your knowledge, ambition or passion into a higher gear with a Hanze Master. Improve your job prospects and take your industry to the next level! The Hanze University of Applied Sciences develops its professional master’s programmes in close collaboration with the professional field, making them highly applicable in the real world. You will broaden and deepen your own knowledge, make your mark in the professional practice and bring innovation to your chosen field. Your professional master’s programme seamlessly connects to your practice-orientated bachelor. As such, you do not have to go through the transition programme which is required when switching to a research university master’s. That means you can immediately continue your studies and get your diploma sooner. Are you a professional with some work experience looking to further develop your skills? We also offer part-time and dual (work and study) master’s programmes. Graduates from a professional master’s programme at the Hanze University of Applied Sciences are awarded an MA, MBA or MSc degree, just like they would receive from a research university master’s programme. In the master’s programme in Data Science for Life Sciences, you combine your knowledge of life sciences with data science. You will work as a professional on new data processing technologies, so contributing to healthcare and innovations in the Life Science industry. The Master in International Business and Management programme prepares you to work in a real international business context, by gaining intercultural specific competences. of options in all fields. Leads to an internationally recognised master's degree. Do you want to make a difference in realising energy transition from a technological perspective? This master focuses on the technical understanding and implementation of renewable energy techniques. Do you want to make a difference in realising energy transition from a business innovative perspective? This master focuses on the business and economical aspects of the energy system. Have you ever wondered how your community (village, company, institution) can make the transition from fossil-sourced energy to more sustainable sources? This key issue is the essence of the Energy for Society programme. The master Smart Systems Engineering takes you to the next level of modern day sensor technology implementation. The Master in Architecture programme is an attractive and challenging study route for people who want to become an architect. In this master's programme, artists do extraordinary things using technology. You view and create art in unpredictable ways, conduct experiments, do crafts and play with technology, ideas and media. In this master's programme you learn how to transform ideas into images and how to get your message across to the public. The Master of Music programme is aimed at ambitious musicians who want to further develop themselves in a specific direction. How do you give your future career meaning and value in a global context? By becoming an international communication expert!